Last weekend Sevda (second from the right), who has worked in Wilsons as an administrator since 1998, joined 31 Turkish and Kurdish activists from Daymer, Tohum (Seed ) Culture Centre and the 100 Flower Cultural Centre and took donations to support the asylum seekers stranded in Calais. The group had been collecting clothes and tents for a couple of weeks and filled a lorry full of aid. Sevda and her comrades travelled by coach. Their journey was made more difficult by a 2 hour wait to enter France whilst checks were conducted at the border. Their separate lorry full of aid passed through without difficulty. 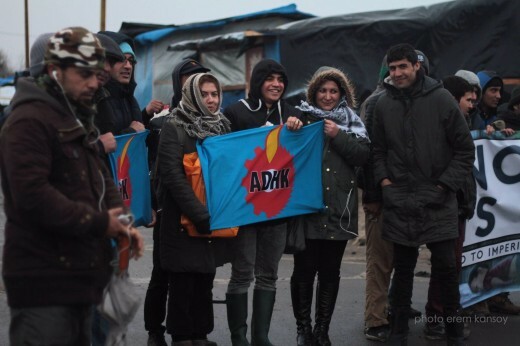 The Turkish and Kurdish activists found a considerable British aid effort under way in Calais. The focal point of the aid effort supporting the camp is a warehouse located about 20 minutes’ drive from camp. 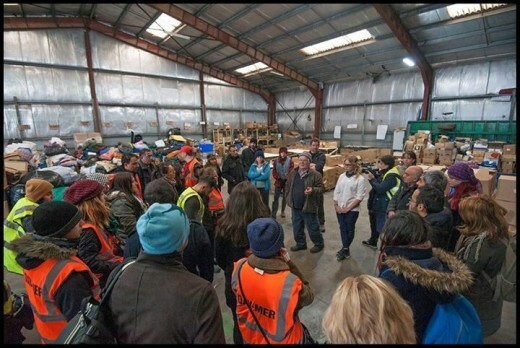 Sevda comments that the people organising the hub at the warehouse were mainly British, as were virtually all the volunteers she came across in and around the camp. 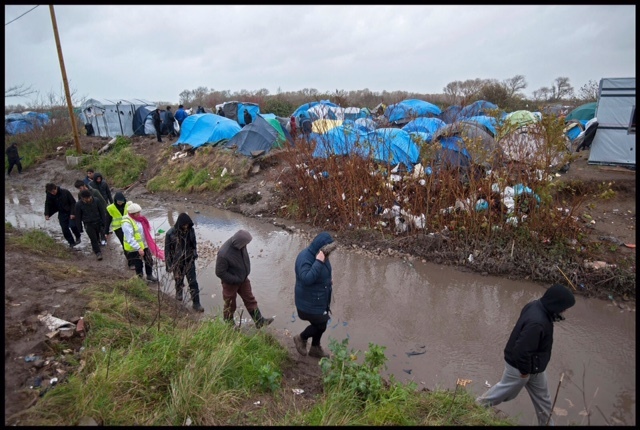 She met a British builder who was caught up with the difficulties at the French border who was on his way to help with building structures in the camp and she also came across a different builder in the camp who erecting a wooden structure. She was struck by the commitment of British volunteers in contrast to the lack of action by the government. Some of the UK Kurds remained in the warehouse to help with sorting through material but Sevda went with a larger group to visit the camp, known as the Jungle. Sevda describes terrible weather. The camp sprawls out over fields without any protection and is exposed to piercing wind. It was a very cold and rainy day and the conditions were extremely muddy. The overall impression of the people in the camp was that they were from the Middle East and Afghanistan. Largely young men from Iran, Syria and Afghanistan. Many were Kurds. There were also Africans, but not so many in the areas that she went to. The ethnic groups seemed to group together. Sevda was able to speak to Kurds and explained to them that the British Government was against them but the people wanted the doors to be opened and wanted to welcome refugees to the UK. The conditions in the camp are clearly terrible. It is unhygienic and there is rubbish lying around everywhere. The bins are overflowing. There is a lack of water and people in the camp basically can’t clean themselves. There is no hot water at all. Clothes get so dirty to the extent that they are no longer wearable and then they have to be discarded because of the lack of any facilities or resources to wash them. People are living in conditions of deprivation. One young man explained to Sevda how he frequently did not eat for a whole day and went to sleep hungry. Access to food is intermittent and dependent on aid arriving. The people Sevda met were destitute without any money. She asked one group why they were enduring these terrible conditions and the reply was “if we had stayed in our countries we would have been dead”. They have friends and relatives in the UK and want to join them. Sevda found the camp to be an endless sea of tents and structures, stretching out into the horizon in which thousands of people, largely young men, are just waiting in hope. She saw remarkable examples of enterprise. Hut restaurants have been built and there is economic activity. She found one place that was making bread. 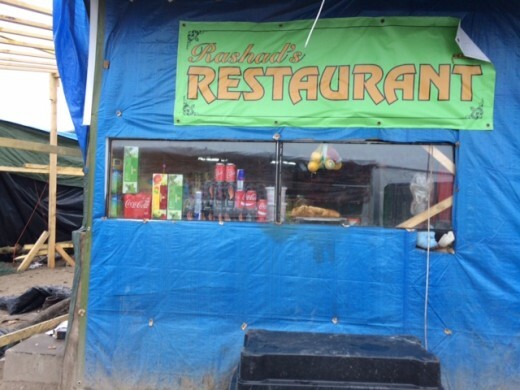 She came across an Afghan hut restaurant that was selling food and another place that had donner kebab for sale. Although the people that she met had no money, there is clearly some marginal economic activity going on, which is resonant of refugee camps throughout the world. Despite the grim conditions, Sevda felt that most of the people in the camp were living in hope and that was keeping them going. However, she observed at least one man who was in a world of his own and clearly very traumatised. Others described to her that they hear people screaming in their sleep. 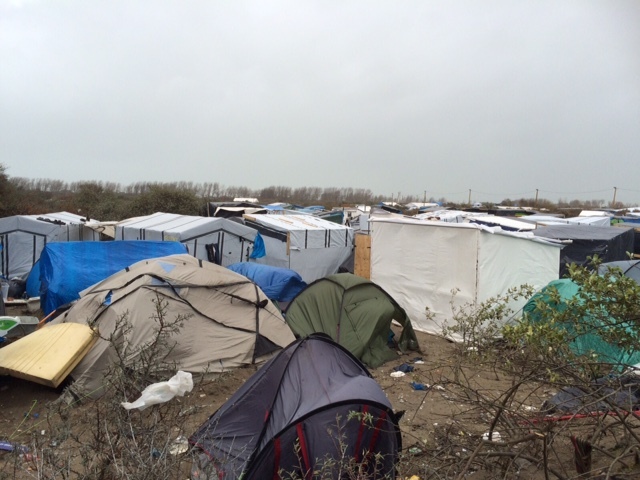 “I wanted to experience what it was like at Calais and what those people are going through. Friends had told me how bad the conditions were and I just wanted to go and try to help”.